Home Change Put a genuine smile on your face and rock the workplace! Every year, companies are investing significantly in employee’s engagement programs to boost their productivity. There is, however, one simple, powerful and (on top of that!) free tool that is rarely mentioned on the list. It is what we will call the “employees smiling program“. 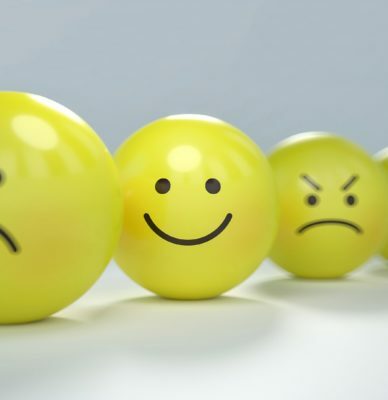 Although when caught in the daily routine of stressful situations and pressing deadlines, it may be difficult to maintain the smile attitude, smiling can actually be beneficial in many ways. 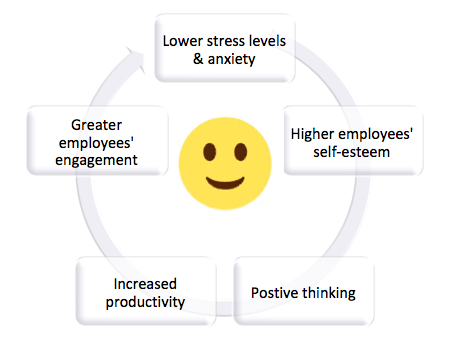 The wheel hereafter outlines the major benefits, both employers and employees can draw from smiling. 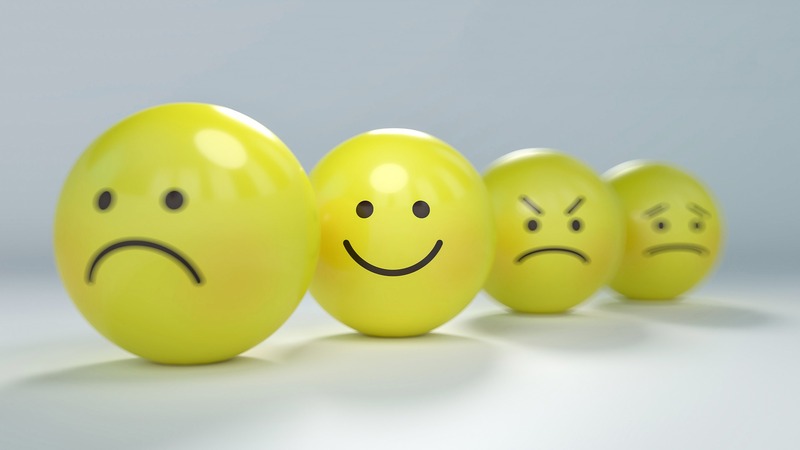 Lower stress levels and anxiety – In studies where people had to deal with stressful situations whilst smiling, those who smiled where found to have lower heart rates that those who were not smiling. Other proven research also show that smiling releases the happy hormones called endorphins, which make us feel happier. Boost other’s self-esteem – Smiling is a universal welcome. It makes you more approachable and it makes people around you feel more self-confident. Ignite positive thinking – Because of a process called mirror neurons, if you smile at people, people will imitate and smile back at you. When walking around the open space in the morning, smile at your colleagues and act as a ‘smile’ lighter. Your smile will soon be contagious, put everyone in a lighter mood and trigger positive thinking. Increase productivity – Because employees’ self-esteem has now risen and they have developed a positive mindset, they are performing at higher level. Greater employee’s engagement – This will also raise manager’s self-esteem, leading to accrued leadership effectiveness. This will spark better cooperation and provide the basis for sound and healthy relationships in the workplace.